This idea came to fruition a few months back when SGD was contracted for a job to print required parts for a customer. 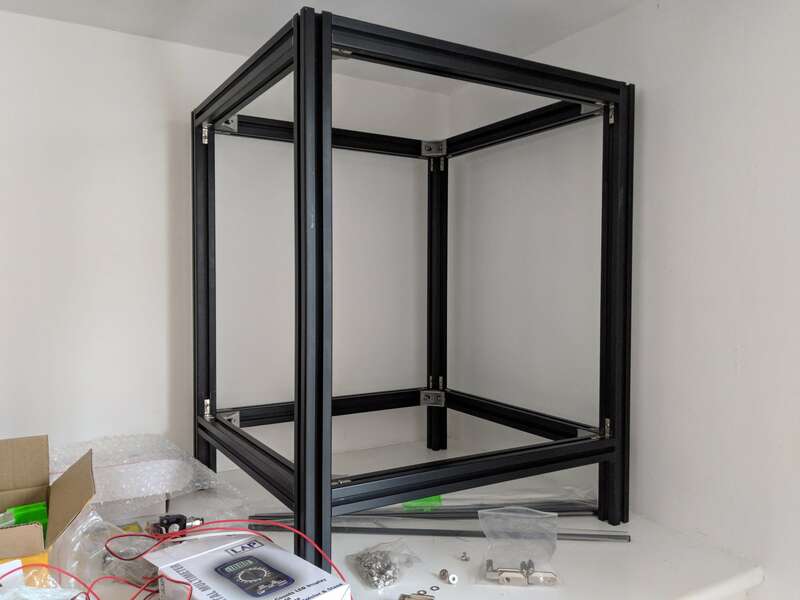 The project called ‘Hypercube Evolution’ was originally designed by an Australian engineer and caught our eye at SGD. Utilising off the shelf 3030 Aluminium extrusion, it’s a simple but effective design. Throughout this blog we’ll be updating the build as we go through, explaining any challenges we encounter. At the time of writing this first post, we’ve already constructed our black anodized frame, which was relatively straightforward and only required a few minor adjustments to square it all off. Next is onto 3D printing all the parts!